On Thursday, January 31, Yucatán’s State Secretary of Tourism Promotion Michelle Fridman spoke to representatives of the local media about her trip to Spain with the governor where they participated in the International Tourism Fair (Fitur). She added that Progreso “needs to be fixed” and that requires time and resources that are not available. When she realized that her comments were not appropriate, she asked the members of the press not publish her statement, arguing that “that was not what she meant.” But the damage was done. Fridman was about to learn the hard way that you “Don’t Mess with Yucatán“. Of course, “Diario de Yucatan” the most important and influential newspaper in the state, published Fridman’s statement as a headline on both their print and online editions. Local and federal Yucatán representatives Lila Rosa Frias Castillo and Maria Esther Alonzo Morales, both from Progreso, came out in defense of their hometown and described Michelle Fridman’s statements as offensive to the inhabitants of this port. They both mentioned that it is totally evident that this woman does not know anything about Progreso because she is “Huach“. Representative Maria Esther Alonzo, who is also the former mayor of Progreso, pointed out that the fact that these statements come from a state secretary of Tourism Promotion is absolutely regrettable and unacceptable. “We are talking about a high rank official whose job is to promote Yucatan as a tourist destination, but instead this person criticizes the main port of the state, demonstrating that she does not know where she is standing. 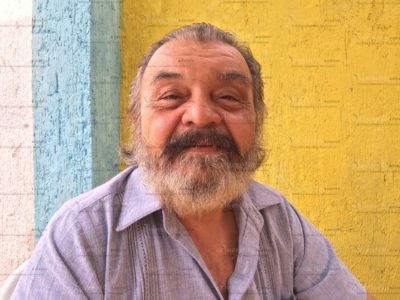 Progreso was born as a fishing village, in time, it became an important maritime cargo port, and now it ventures into tourism, which is an activity that is already generating resources for the people of the region, and that will take some time to consolidate,” Alonzo said. “The city has a history, its growth and development is the result of the hard work of fishermen, businessmen, boat captains and successful local companies, to the dedication of men and women who have lived in this coastal town for generations, so we strongly reject those offensive statements made by the head of Sefotur,” she added. This statement is one more mistake committed by Secretary Fridman, who “has some big shoes to fill” considering the great work done by her predecessor Saúl Ancona Salazar in terms of air connectivity, international diffusion and growth in the cruise industry. Besides the fact that the federal government has cut significantly the resources for tourism promotion at national level. 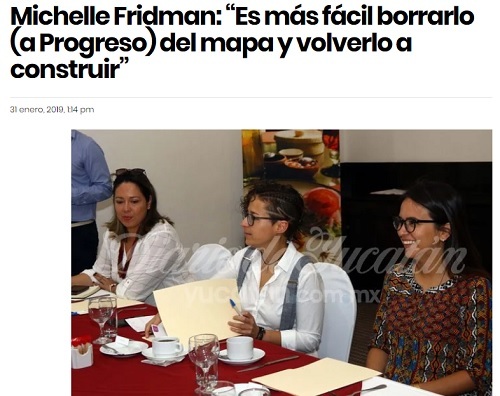 Meanwhile, Oziel Nicoli Argüelles, former president of the National Chamber of Commerce (Canaco) of Progreso, expressed that Michelle Fridman Hirsch, State Secretary of Tourism Promotion, should be considered “persona non grata” in the port. 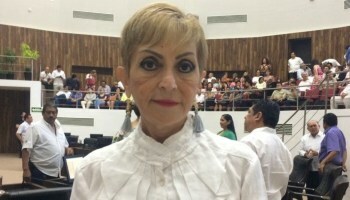 “The Secretary of Tourism Promotion, does not know what she is talking about, with her statement, she has declared herself the number one enemy of Progreso and under those conditions, what moral quality does she have now to summon the service providers of this city to invest in tourism,” Nicoli Argüelles explained. “She says that Progreso needs to be removed from the map, and I say that she is the one that should be removed by the governor from her position as State Tourism Secretary”, he added. This terrible political and diplomatic mistake made by Michelle Fridman, does not help the situation in the port, and the truth is that if the State Government really wants Progreso to stand out on the world tourist map, they must recognize that there is still a lot to be done in the port, but not with criticism but with real solutions. Progreso is obviously far from being a world-class tourist destination such as Cancun, Cozumel, the Riviera Maya, Cuba, Jamaica, Cayman Islands or the tourist power of the Caribbean: Dominican Republic. But to compare Progreso with these other destinations is not the solution. The cruise industry has already presence in this growing city, and Tourism state and municipal authorities need to work hard to change the perception of cruise passengers when they say that they see a “dirty” port, where the beach is not clean and there are no good quality tourist services available. That is the reason why most passengers either get on a bus that takes them directly to archaeological zones, or simply stay onboard when the cruise docks at Progreso. What is needed is to work on developing specific points of interest for cruise passengers, which motivate them to descend from the ship and visit the port of Progreso. It is necessary to take advantage of the fact that Yucatan has a great cultural and historical heritage, music, dance, gastronomy, sculpture and plastic art; besides the beauty and health treatments that involve herbalism and other ancient Maya knowledge; as well as incomparable natural beauties (such as cenotes, mangroves and estuaries) and other activities (birdwatching, diving, snorkeling, sport fishing, etc. ), and offer these elements as part of a tourist catalog that calls the traveler’s attention and invites him to visit the port of Progreso and its surroundings, where they can find all these unique attractions. This will result in a significant economic spill for the state, and will help spread and preserve the traditions and natural areas of Yucatan in a sustainable way. Progreso does not have to be turned into a “Little Cancun”, on the contrary, it must be given a different approach that highlights its own attractiveness as a peaceful, picturesque, quiet port, where you can eat the best seafood or Yucatecan regional food, where you can meet the ancestral secrets of the Maya culture, enjoy folkloric dance or music shows, practice water sports, or where you can simply relax on a clean beautiful beach with a cold drink without being disturbed. Probably Mr. Nicoli Argüelles is right when he points out that Michelle Fridman might not be the ideal person for the important position she is so poorly performing, since in fact, the people that she has placed on key positions are not Yucatecan either, which itself does not constitute a problem, the issue is that these people do not understand the idiosincracy of the local culture.